Twenty-three kilometres off Tutukaka you will find the Poor Knights Islands. 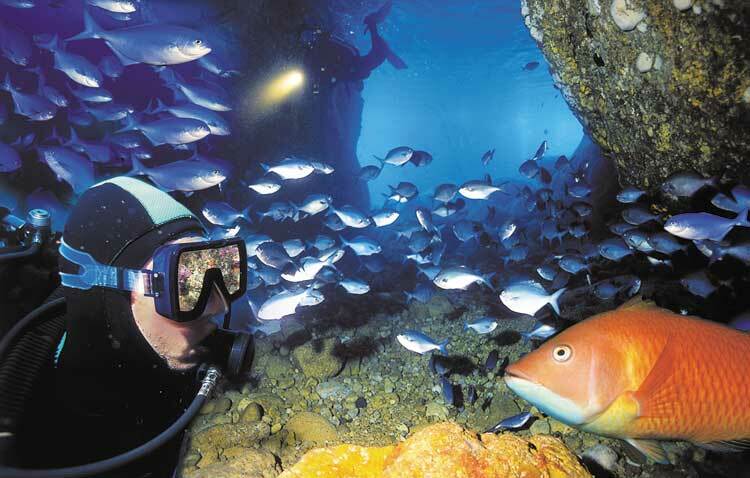 These islands are an international icon and simply a diving wonderland. A total Marine Reserve and Nature Reserve – and pending World Heritage Site – the 11 million-year-old Islands’ volcanic origins provide a myriad of spectacular drop-offs, walls, caves, arches and tunnels. Above and below water, the Islands are abundantly populated with the unique and incredibly varied plant, animal and fish life. Laying claim to an astounding Maori history and the world’s largest sea cave (and only living dinosaur and largest insect) the remarkable Poor Knights Islands thoroughly deserve their protected status. Take command of a kayak, or don mask and snorkel, and find a whole other way to discover the Islands. This very special day-trip, Perfect Day offers the ultimate non-diving Poor Knights experience, with sight-seeing, kayaking, cave explorations, snorkelling, swimming, sea mammal-spotting, snippets of fascinating history and Island facts and great food. The boat is incredibly well fitted-out, with plenty of indoor and outdoor seating as well as upstairs viewing. Friendly crew are able to assist you with anything you need. There are plenty of toys to use on the water and of course, the fabulous ‘fish cam’ feeding live underwater shots right into the boat. Air-conditioned comfort and ample shade from the sun, or you can relax and get a tan! Furthermore, the indoor-outdoor flow allows for maximum viewing, with two levelled decks to get that better perspective and a great photo! 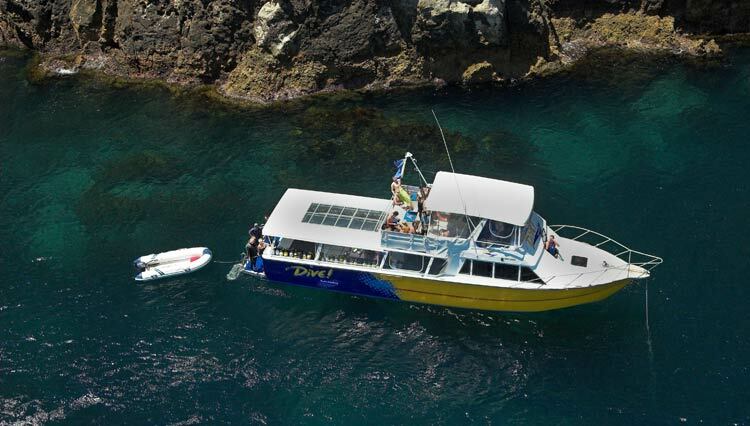 Depart Ara Roa at 9:15 am for a scenic 65 min drive to Tutukaka. 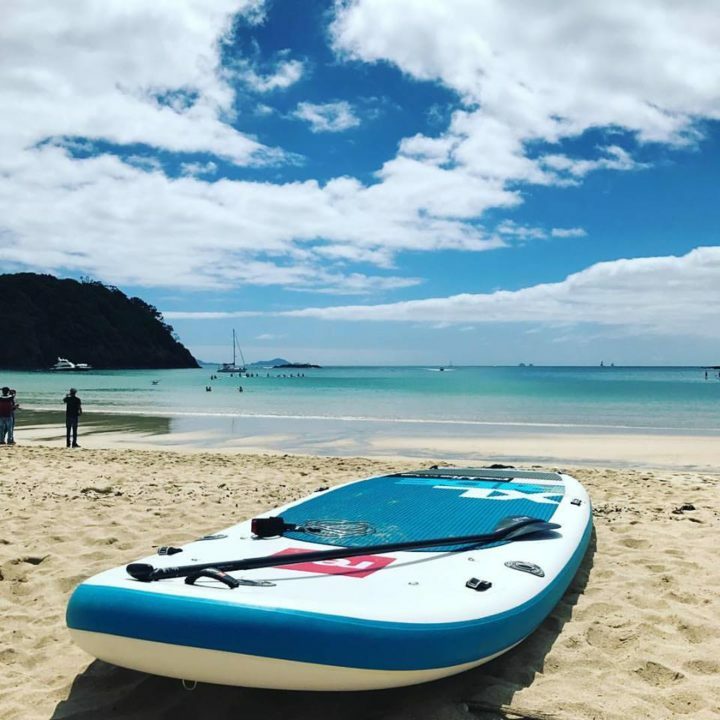 Enjoy a day trip to the Tutukaka Coast where you can try your skills as stand up paddleboarding. SUP BRO offer lessons at the beautiful Matapouri Beach, yoga sessions and much much more. Their Poor Knights experience is a 5-hour trip that will take you into some amazing spots and give you the history, cultural backstory and environmental pointers that will only add to the experience. Book in for a peaceful, relaxing five (5) hour exploration tour (lunch included) away from the crowds to enable you to be fully immersed in the splendour of the Poor Knights. Guaranteed fun times trying your skills at stand up paddleboarding. 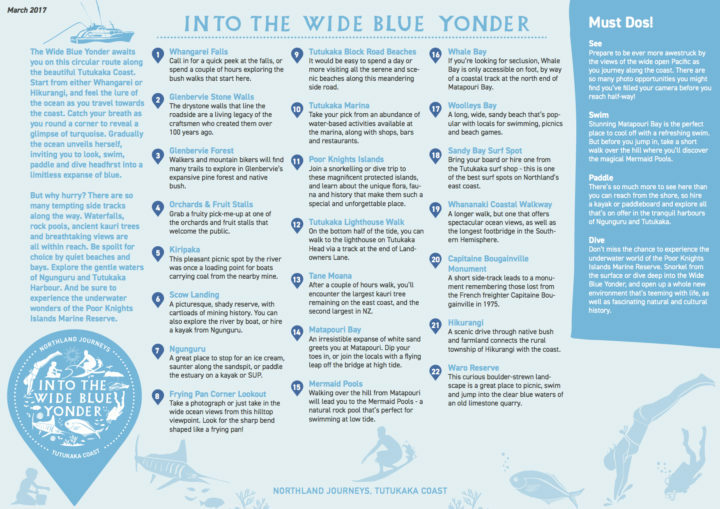 The Wide Blue Yonder awaits you on this circular route along the beautiful Tutukaka Coast. 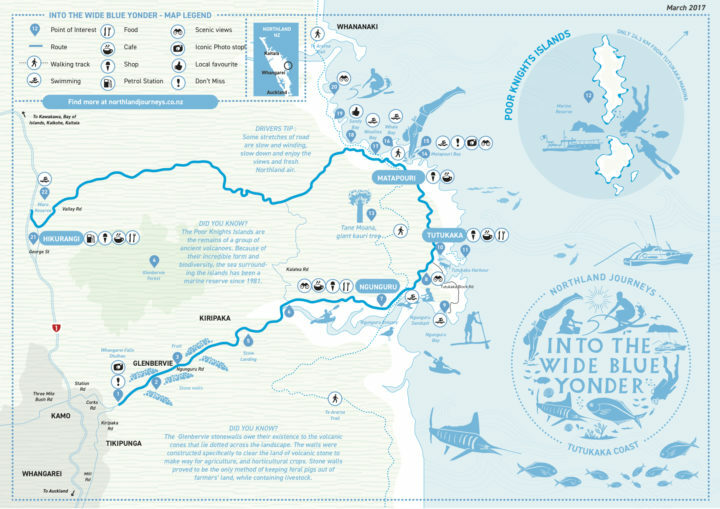 Start from either Whangarei or Hikurangi, and feel the lure of the ocean as you travel towards the coast. Beautiful beaches, lovely walks and the gateway to the Poor Knights Islands.